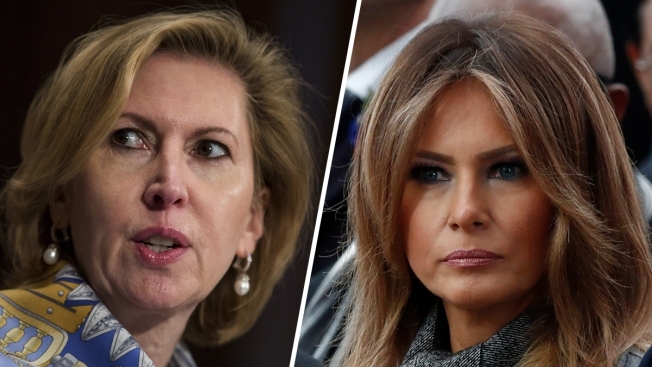 Deputy national security adviser Mira Ricardel (left) and first lady Melania Trump (right). In an extraordinary move for a first lady, Melania Trump’s office on Tuesday publicly called for the firing of a senior National Security Council official. Stephanie Grisham, the first lady’s communications director issued a statement saying the official, Mira Ricardel, should no longer serve as the NSC’s No. 2, NBC News reported. "It is the position of the Office of the First Lady that she no longer deserves the honor of serving in this White House," Grisham said.